Silva Dance Company provides a masterful look into the art of Brazilian Dance. 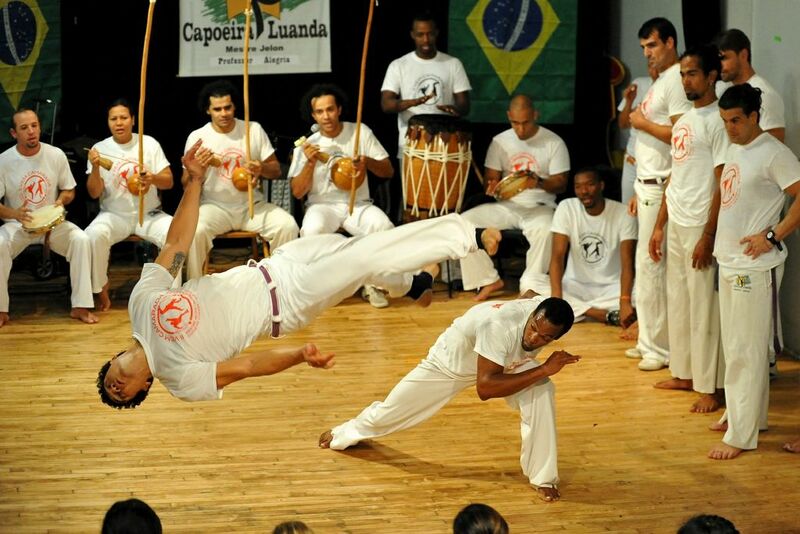 “Capoeira is a dancer’s fight… It is a gladiator dance… It is a duel of comrades… It is a game, it is a dance, it is a dispute – a perfect symbiosis of force and rhythm, poetry and agility, the only art form where the movements are commanded by music and singing. Silva Technique is a fusion of Brazilian Contemporary dances with a strong emphasis on Capoeira movements, and modern dance foundations. It has been revolutionizing dance in the world today and has been made popular by professional companies such as Dance Brasil. Founded by renowned dancers Leandro Santos Silva and Janete Silva, the Silva Dance Company provides a masterful look into the art of Brazilian Dance. Sharing our culture is our passion.